The fun and easy way to learn World Geography! ​Game is color-coded so kids catch on quickly and easily. CLICK HERE TO GET THE GAME! Have fun learning the continents, countries, and flags of the world. 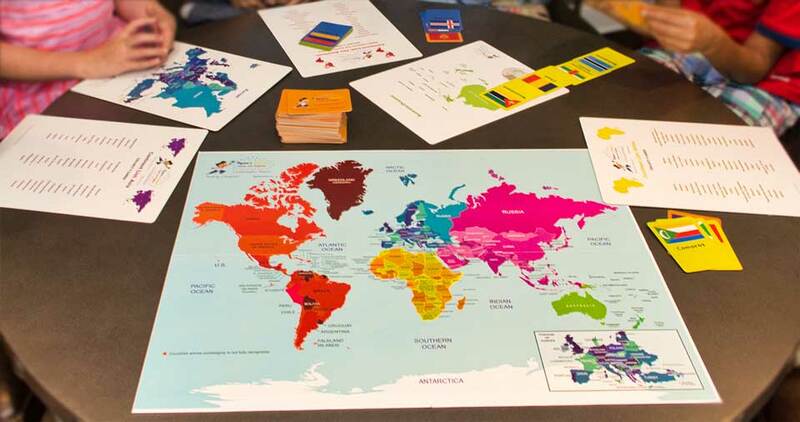 It's a CARD GAME and a RACE to see who can collect the most countries from each continent first! Play with Friends and Family at Home or ​A Great Gift for a Child in the Hospital.